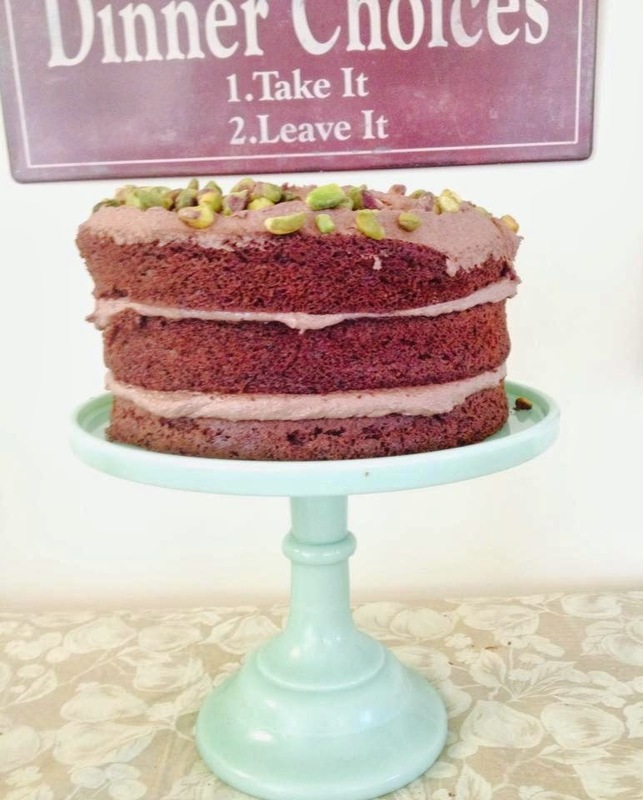 I love chocolate and pistachio together but this cake is so versatile it works perfectly without the nuts too, in fact I made a 3 layer birthday cake out of it last night. In a large bowl mix all of the above ingredients together except coffee, water and nuts, slowly incorporate the coffee and water pour into 3 x 20cm sandwich tins bake in a preheated oven 170 for 10 mins. Slide out the oven trays, then sprinkle over the chopped nuts, pop back and bake for a further 15 mins. Leave to cool in the tins for about 5 mins then cool completely on wire racks. In the photo I actually filled and topped with buttercream but I have found the ganache worked better. Chop the chocolate really finely, bring the cream to the boil, leave the cream to cool for about 3 minutes, add the chocolate and stir until shinny. Leave to cool and firm before assembling the cake. Place the first cake nut side up on to your serving plate, cover with ganache, sandwich with one of the cakes, repeat with the reaming cake, cover the top in a layer of ganache then add a circle of whole pistachio nuts to embellish.